Former WNBA star Rebecca Lobo gave a fantastic speech at the 10 Annual Celebrating Women’s Athletics Luncheon at the Events Center on April 27. The event was hosted by Binghamton University, and thanks to Lobo’s participation it drew in an all-time high of attendees that totaled over 550 people. Since it’s inaugural event, this luncheon charity event has raised over a quarter million dollars for the Binghamton Bearcats Athletics Association Women’s Scholarship Fund that gives awards to two excellent female athletes each year. The focus of her talk was her telling the audience how important of a role her mother had her life, and that she really admired her strength and willpower during harder times in her childhood. Lobo is a Connecticut native and when she was looking at colleges over 100 different schools tried to recruit her on a basketball scholarship, but he ended up choosing the University of Connecticut to stay closer to home and because their program aligned with her academic standards. After graduating, she competed on Team USA at the 1996 Atlanta Olympics and brought home the gold medal for her sport. In 1997 she went to play for the New York Liberty for four seasons and then for the Houston Comets and Connecticut Sun for one year apiece before retiring in 2003. The Olympian gave a humorous and uplifting talk at this year’s Annual CWA Luncheon, which will likely be an experience that will last in their memories for years to come. 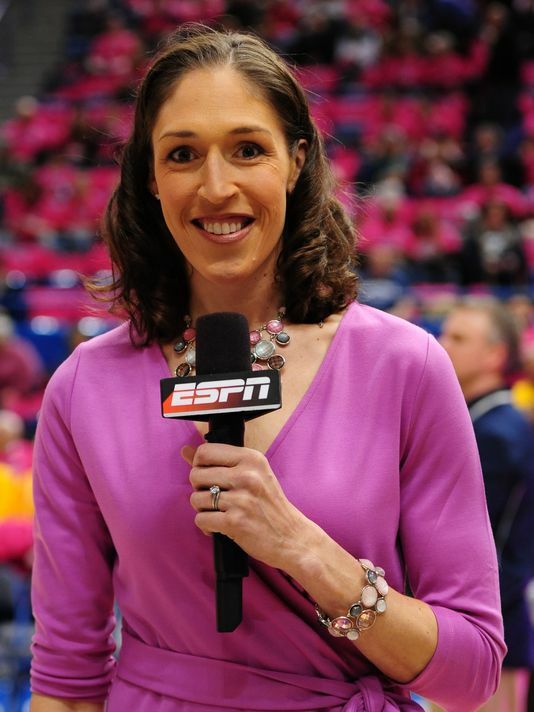 If your company is interested in finding out availability and booking fees for a former WNBA player like Rebecca Lobo or other sports celebrities for a Keynote Speech, Charity Event, Personal Appearance, or Basketball Camp, call us at 1-888-246-7141.